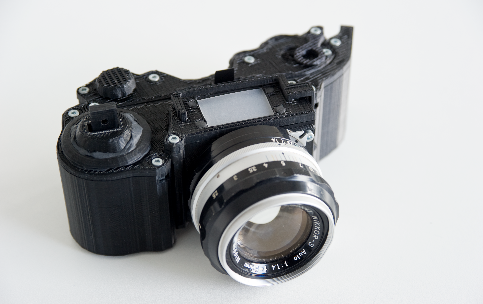 Last summer, 3D printing enthusiast LeoM developed a 3D printable film camera and posted it on 3D design repository Thingiverse. Now, he’s offering a kit on a French crowdfunding site that includes the non-plastic parts needed to make the camera. He will use the funding to add improvements like compatibility with more types of film, making it easier to use and improving documentation. The camera’s design is still open source. Technology are growing everyday and a lot of new gadgets are being released on the market. They always excite the users because they are offering the first of its kinds innovations. I think I’ll wait for that one.